Tamim Iqbal became the first cricketer from Bangladesh to score a century in Twenty20 format as he led his side to the World T20 Super 10s with a 54-run win over Oman via Duckworth Lewis method in a rain-hit Group A match, in Dharamsala on Sunday. Left-handed opener Iqbal's unbeaten 103-run knock was packed with 10 fours and five sixes and he single-handedly led the Asia Cup finalists to a challenging 180 for two. Iqbal is only Bangladeshi player, who has managed a century in all three formats of the game. In a suspected incident of honour killing, a Dalit man was hacked to death, while his wife was brutally assaulted by three assailants in Tiruppur district of Tamil Nadu. The attack took, which took place in full public view in a busy market, was captured in CCTV footage. Ironically, none from the public interfered to save the dalit couple. The attackers were seen dragging and beating the man with weapons, in the CCTV footage. After leaving the man in unconscious condition, the men started assaulting the woman. The three men escaped on a two-wheeler. March, killed at least 34 people and injured over 125, officials said. Two of the dead were assailants, a report said. 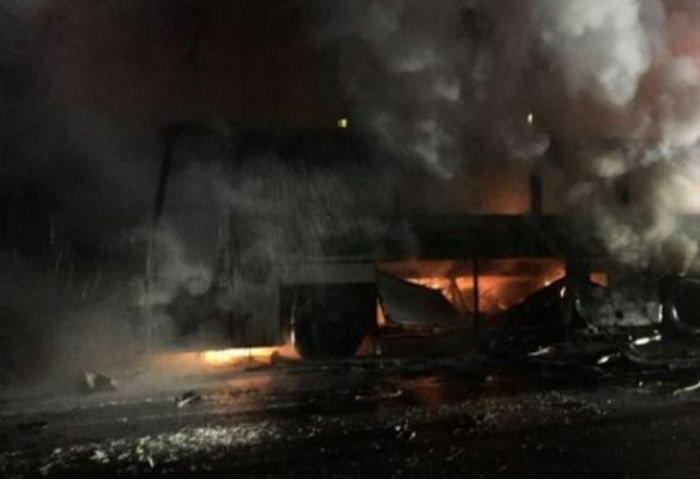 The attack was reportedly carried out by the Kurdish militants. However, no terror group has officially taken the responsibility of the attack. It was third such incident in five months. Condemning the incident, President Recep Tayyip Erdogan said that his government will bring "terrorism to its knees." 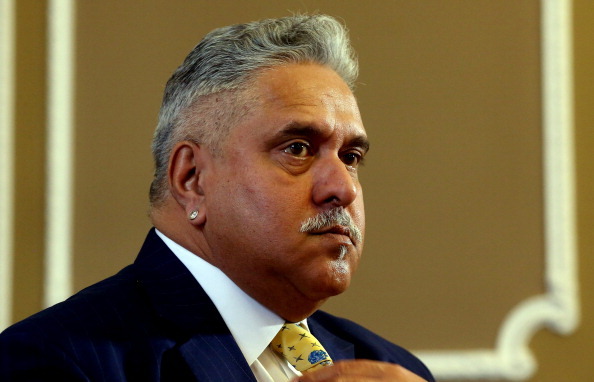 Businessman Vijay Mallya has ruled out his return to India as of now, saying that the time is not right'. He has however been summoned by the ED to appear before it on March 18.Mallya said this as his troubles mounted with a Hyderabad court issuing a non-bailable warrant (NBW) against the liquor baron after he failed to appear before it in a cheque dishonour case. The court order in the case of alleged dishonour of a Rs 50 lakh cheque to GMR Hyderabad International Airport Ltd came even as Union Labour Minister Bandaru Dattatreya said a probe will be launched to check whether there were any anomalies in the PF contributions made by Mallya's Kingfisher Airlines for its employees when it was functioning. Congress leader Ghulam Nabi Azad said on 14 March that he did not compare the Rashtriya Swayamsevak Sangh (RSS) with the terror outfit Islamic State (IS). The BJP and RSS had threatened to sue the Congress MP after he said that his party would fight the IS the way it would fight the RSS, the ruling BJP's ideological parent. Azad's remarks had sparked outrage with the BJP and the RSS threating to sue to the leader. On 14 March, BJP's Mukhtar Abbas Naqvi said in Parliament that Azad must apologise for his statement. Defending himself, Azad pulled out a CD of his speech and read out the portion which was termed controversial. "If you find anything wrong, you can move a privilege motion," he told the government. 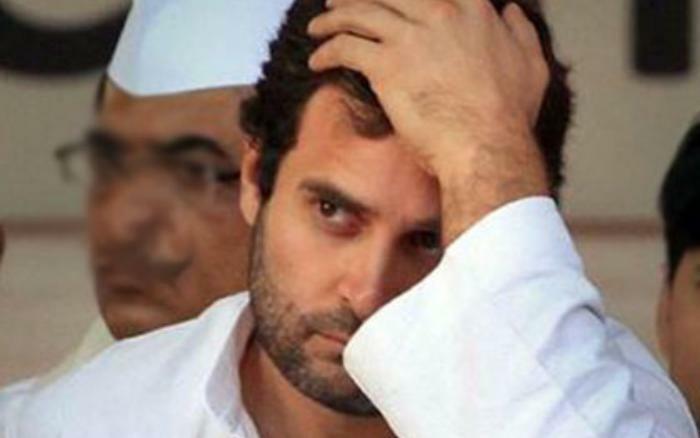 The Parliamentary Ethics Committee, headed by veteran Bharatiya Janata Party (BJP) leader Lal Krishna Advani, has issued a show-cause notice to Congress vice-president Rahul Gandhi, asking him to respond to questions on whether he had once declared himself a British citizen. "A complaint reached the Lok Sabha speaker which she forwarded to the Parliamentary Ethics Committee. The Ethics Committee therefore issued a show-cause notice asking him to respond as to how he showed his British citizenship when he was about to become the director of a company in London," Meghwal said. BJP leader Subramaniam Swamy had accused Rahul of declaring himself a British citizen to float a firm in that country. He had written to Prime Minister Narendra Modi and demanded that Gandhi be stripped off his Indian citizenship and his membership of Parliament. In a major development, External Affairs Minister Sushma Swaraj will be meeting Pakistan Prime Minister's Advisor on Foreign Affairs Sartaj Aziz on the sidelines of the South Asian Association for Regional Cooperation (SAARC) ministerial meeting in Kathmandu. Swaraj and Aziz will be in Pokhara for the meeting on March 16 and 17. Aziz is also likely to extend an invitation to Prime Minister Narendra Modi for the SAARC Summit in Islamabad. The meeting comes as a major breakthrough as the two sides have been on extremely strained terms since the Pathankot attack earlier this year which had derailed the Foreign Secretary-level talks in Islamabad in January. Union Home Minister Rajnath Singh on Monday constituted a high-level team headed by Additional Secretary (Home) B.K. Prasad to look into the issue of missing files in the alleged encounter of Ishrat Jahan. The committee will look into how the draft of the second affidavit went missing and who drafted it. The Home Minister had last week told the Lok Sabha that many documents related to the preparation of the Ministry of Home Affairs' second affidavit in the Ishrat Jahan encounter case were missing and an internal inquiry had been ordered. Hanan Al Hroub spent her growing years in a Palestinian refugee camp. As an adult and a teacher, she chose to stay and work with refugee children who have been traumatised by violence. Her efforts have been recognised and a $1 million global teaching prize was awarded to Al Hroub at a ceremony in Dubai. Prince William sent a video message congratulating her, as did the Pope, who said that teachers were "the builders of peace and unity." The finalists for the Global Teacher Prize, created by the Varkey Foundation, saw teachers from India, Kenya, Finland and the US. In her speech, Al Hroub told the audience that "teachers could change the world." According to the superstar, the 3 most important things to lead a healthy lifestyle are a healthy and balanced diet, exercise and rest. The Bollywood superstar claims that a balanced diet is equal portions of fat, carbohydrates and protein. Eating less is not a healthy balanced diet, claims Aamir because when you starve yourself, your body actually starts to store fat. While shooting for Ghajini Aamir would eat small meals, as frequently as every half hour, to increase his metabolism rate. It was whole eggs for breakfast, green leafy vegetables with meat for lunch, and grilled meat with salad on the side for dinner. In between, he used to munch on nuts and drink protein shakes, and drink at least 3-4 litres of water. Recently however, the actor has turned vegan, and given up milk and milk products. This change has come in handy though, since his character in Dangal is vegetarian too. The actor is currently following a strict diet plan under the supervision of Dr. Vinod Dhurander. His diet is a balance of carbs and proteins, and includes 9 meals in a day. Aamir believes that walking, jogging, swimming and yoga are all great ways to exercise. If this Bill gets passed in the Oklahoma Senate in the US, it would effectively abolish abortion. According to the proposed Bill, anyone who performs and abortion will be deemed a criminal and charged with first degree murder. For the author of the Bill, Josep Silk, "life beings at conception." He said that "those human embryos deserve every bit of protection as a one-year-old child." However, such Bills to criminalise abortion, fail to take into account the circumstances in which a child is conceived, the ability of the woman to raise a child, the economics of their condition etc. Climate change will take 5 lakh lives by 2050, a new study has suggested. These deaths would be caused by the food scarcity, and are additional to deaths caused by other effects of global warming. The study was published in the medical journal The Lancet. Scientists behind the study predicted world temperatures to be two degrees higher than in the 1986-2005 time period. It found that there would be 3.2% lower food availability, and people would be consuming 4% less fruit and vegetables. Food waste is a real problem. In Denmark that means perfectly consumable food is sent to landfills and they make up 1.3 billion metric tons of the annual waste. Majority of this food isn't actually worth throwing away, but a picky food standard level has led to heavy wastage. The solution? Grocery stores like WeFood sell food waste and at a discounted rate, so people have been lining up to buy. This food waste includes cereal boxes with tears, cans with ripped labels, mis-labeled white rice, or even fruits and vegetables that are misshapen. WeFood went a step ahead to break the stigma that waste food is only bought by poor people- they got a Danish princess at the grand opening of the store, and voila, people haven't stopped shopping there. In a suspected case of honour killing, a Dalit student, who had recently married a caste Hindu girl, was brutally murdered in public view at Udumalpet in Tirupur district on Sunday. A three-member gang that came on a motorcycle attacked V. Sankar (22) and his wife S. Kausalya (19), with lethal weapons. While Sankar died on the way to the hospital, his wife who suffered a head injury was admitted to the Coimbatore Government Hospital. 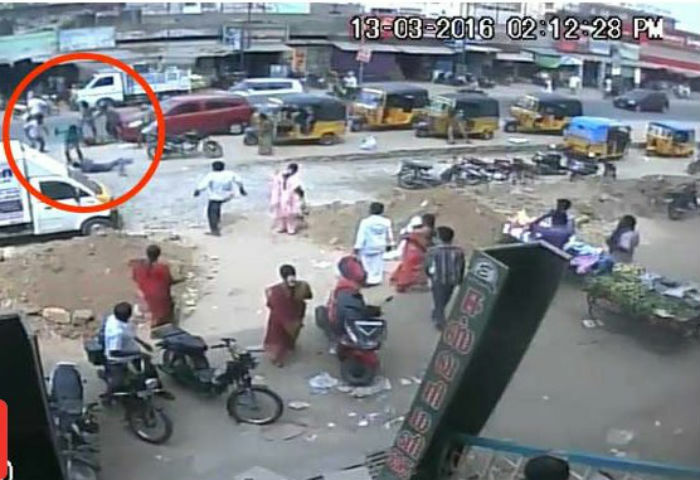 The gruesome daylight attack was reportedly captured on a surveillance camera installed in the locality. Police sources say local people took pictures on their mobile phones of the suspects escaping on the motorcycle leaving the victims in a pool of blood. When women have rights to land, argues Klaus Deininger, a lead economist and organizer of this week's World Bank conference, children's health and education improves, household resources increase and there are fewer child brides as daughters do not need to be married off young for financial reasons. Equally, women with land rights tend to have savings accounts, a factor that reduces domestic violence. "If women have stronger bargaining power, they actually can resist. Their husbands will think twice before beating them because they can move out and take their money with them," Deininger said.